Got a case of the munchies? Snack on one of these healthy, medicated, tasty Trail Mix Bites. It’s your favorite trail mix just turned into cute and delicious little energy bites! 2 Bites Per Package! Ingredients: Old Fashioned Oats, Almond Butter, Maple Syrup, Flax Seed, Shredded Coconut, Sunflower Seeds, Pumpkin Seeds, Chia Seeds, Mini M&Ms, Coconut Oil, THC Distillate. 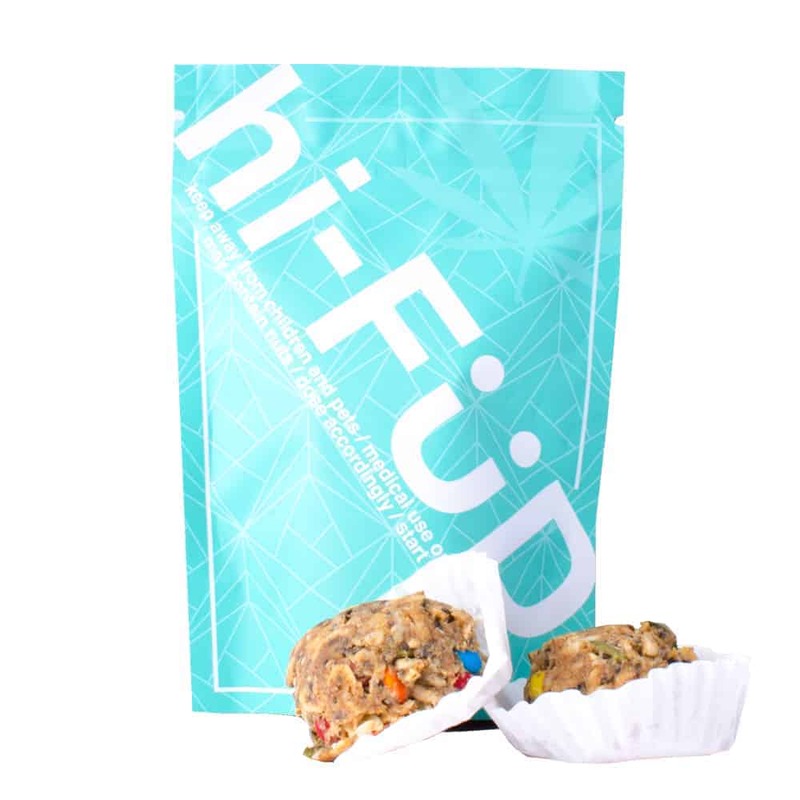 1 review for "hi-FÜD – Trail Mix Bites – 100mg THC Distillate"
Really pleasant taste, nice smooth high. Will be ordering again.